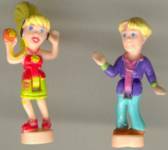 Approximate Dimensions: 5" X 4" X 1.75"
A visitor had told us that there is a set with three dolls and is entitled CD Fun with a package date of 1998. The third doll is Lila. 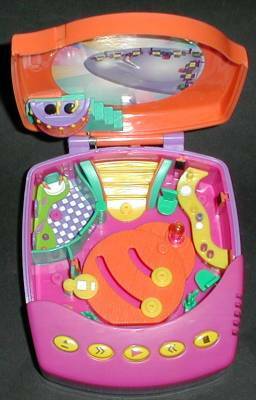 A set with 2 dolls is entitled CD Player and the package date is 1999. So Lila apparently got lost along the way!